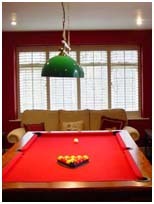 What you shoul know before you go shopping for interior shutters? 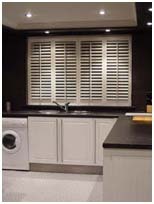 How to clean wood shutters? 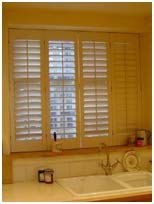 Basswood Plantation Shutters are high quality plantation shutters at a very reasonable price. Basswood is used throughout the shutter industry due to its beautiful grain, fantastic staining properties, and resistance to warping. If that were not enough, if you want your plantation shutters painted, you can specify ANY paint color you want for no additional charge! See below for details. Louvers available in 1-7/8, 2-1/2, 3-1/2, and 4-1/2 inch widths. Variety selections of stains and paints. Includes all mounting hardware, hinges, and magnet sets to keep shutters closed.